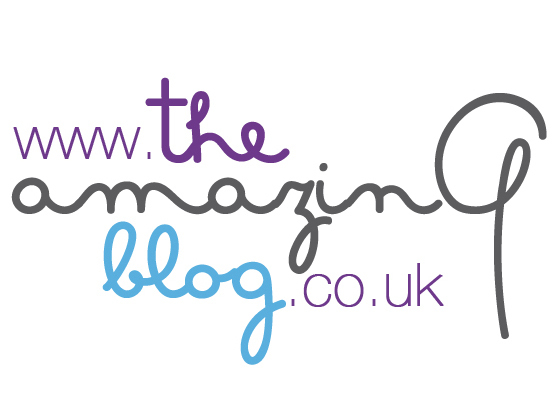 The Amazing Blog can't wait to attend this new Go! Organic Festival which is on this weekend, 8th & 9th September in Battersea Park. As always, we’re passionate about promoting those who create products that help to support our environment and urge us to lead a healthier lifestyle! Go! Organic is a Brighton-based event company that aims to inspire people to adopt a natural and healthy lifestyle. They hope to educate all attendees on organic food and drink and have even invited local farmers to speak about their organic produce. The event will have music and entertainment, workshops and activities for both adults and children. The marketplace hosts the best-certified food, drink, clothing, beauty and lifestyle brands with an anticipated 15,000 visitors in attendance. And, let's not forget about the beer festival. After all, Stroud Brewery has teamed up with this event, featuring more than 40 organic beers from various UK breweries. On the main stage will be top bands The Hoosiers and The Magic Numbers, including television personalities such as Jonathan Dimbleby, Simon King, Janey Lee Grace and Mr Bloom. The talents of some of the country’s most exciting chefs will also grace the kitchen, too. These chefs to name a few, are Gelf Alderson, executive chef at River Cottage, Emily Watkins, head chef of The Kingham Plough, and Chetna Makan, a contestant on Great British Bake Off. Other activities include circus acts, a fair and children’s farm. Purchase an adult ticket here for £26 or a child ticket here for £13 – children under the age of five can attend for free. For an even better deal, grab 2 tickets for the price of 1 using the code GO241. Simply quote this at the checkout on the Go! Organic website. As our regular readers will know at The Amazing Blog, we're big fans of natural and organic products, and today we are talking about sun care. We've included a couple of new brands that have just launched in the UK, as well as a favourite, trusted British brand. These will all help you to enhance your colour and protect your skin naturally. So be sure to take note, and make your friends envious of your effortless glow and sun-kissed complexion. There are few things in life that can make us feel better than sporting a healthy and glowing tan. It gives us newfound confidence and a revitalisation. And what could be better than if it can all be done in a safe and controlled manner? We turn first to Rosenserien, an award-winning brand, to help us achieve a safe natural tan. This isn’t the first time we’ve reviewed Rosenserien, and certainly won't be the last. We have rather a soft spot for this established Swedish organic skincare company. Rosenserien only ever uses natural ingredients, of which over 75% are actually organic. The formula in the Self Tan consists of mainly sugar beet extract for long-lasting results and natural colour. NB: It’s recommended to exfoliate and moisturise the skin before using the self-tanner in order to get an even colour. Depending on your preference, apply up to two layers of the lotion for a deeper tan. Within 4-10 hours of application, your skin will be the perfect shade of tan for 3-5 days. We tried this on the face and loved it, very good results with no blotchiness. The product comes in a 100ml tube and can be purchased here for £22.00. Sun protection should always be an essential part of your daily routine. Although you may not always be lying out on a beach, your skin still comes into daily contact with the damaging UVA/UVB rays even during your daily commute. A fabulous addition to our sun care collection is Eco Cosmetics' Sun Milk with SPF50. The lotion is moisturising, and allows for full coverage – it must be said that a little does go a long way with this product. It is comprised of certified natural ingredients most of which are sourced from organic farming in Germany. This German sun care line is water resistant, vegan, cruelty-free and coral reef friendly. Due to the formulated titanium dioxide and zinc oxide, the sunscreen protects instantly. Supplemental benefits of the product include improved hydration levels, elasticity and suppleness. If you still want a tan naturally and soak up the sun without harming your skin, then we recommend this 75ml product found here for £22.95. Our third choice this summer is The Organic Pharmacy’s Self-Tan product. Margo Marrone, a leading pharmacist and homoeopath, founded the company in 2002 and has been working ever since to improve skincare through the combination of nature and science. Each product is formulated naturally without toxins and is created to meet the highest standards. Similar to Rosenserien’s product, The Organic Pharmacy’s self-tan derives from sugar beet. The British made lotion is light and soft, and best for sensitive skin. First, exfoliate your body before slathering on the lotion. While applying, make sure to cover every crevice and to wash your hands thoroughly afterwards. We preferred using this on our bodies rather than our the faces - it was lighter and more absorbent. Your tan will develop after three hours when you will notice a uniformed tan, free of streaks. Enjoy your natural glow by purchasing the 100ml bottle here for £38.00. As they say, don't forget to: 'Slip, slap, slop', and we've certainly you covered for the Bank Holiday weekend, enjoy the sunshine. Every city welcomes the unique, eccentric and unconventional. London is especially no stranger to this. The Amazing Blog appreciates the unusual and fun events that the city puts on, and this programme is no exception. Over the past decade, the Southbank has hosted the Underbelly Festival, and it’s back this summer for another wild experience. Until the end of September, you can purchase tickets to attend live circus, comedy, cabaret and family entertainment. Join the live entertainment this month, accompanied by international food and drink, right on the banks of the Thames. Prepare to have your mind blown, according to Time Out, with the showgirls of the House of Burlesque. The provocative performance will have you singing and dancing along with their soundtrack and sing-alongs. Come and celebrate their 7th year performing on the Southbank! On until 27th September, you can purchase a ticket here for £21.00. The show lasts about 80 minutes. After you’ve witnessed the revolutionary movement of the House of Burlesque, attend Europe’s most prestigious Burlesque competition, Burlesque Idol 2018. In its 9th year, the competition has produced starlets from the UK, Australia, New Zealand, Italy, Paris and America. At the event, guests will be greeted by showgirls and given a ballot to vote on their favourite contestant. Help the judges pick the next Burlesque Idol by purchasing tickets here for £21.00. Next up on the lineup, is cabaret with The Raspberry Cannoli Cabaret and Marcel Lucont’s Cabaret Fantastique. For one night only, on the 19th September, the talented group, Raspberry Cannoli Cabaret will be performing. Tickets can be purchased here from £21.00. Don’t miss out on headliners such as Ray Gelato and the Giants who have played for H.M. Queen, Sir Paul McCartney and Richard Branson. If you can’t make it on the 19th, don’t fret! Marcel Lucont’s Cabaret Fantastique will have shows this month. You can purchase tickets here from £17.00. Most shows range from £21.00 or less! Find out about the other exciting events happening at the Underbelly Festival. There is something for everyone! Ultrasun's Face Tan Activator Protection SPF30 and Daily UV Hair Protector. Summer can be a dangerous time of year for both skin and hair, as we desperately over do it trying to look like the golden goddesses. Now, don’t get us wrong, all of us at The Amazing Blog are big tanners (real or fake) but we are also big fans of sun safety. There is absolutely no point dedicating your life to using only the best beauty, skin and haircare products if you're going to let yourself prematurely age with sun damage. What we like is that we can trust a brand like Ultrasun to really protect us against the UVA/UVB rays. Two of Ultrasun’s products that really stood out for us, were their Tan Activating Sun Protection SPF30 and Daily UV Hair Protector. The Face Tan Activator SPF30 is an advanced combination of lamellar broad-spectrum SPF30 protection GSP-T for infrared protection. Advanced active ingredients along with Ectoin stimulate the production of melanin and activate the natural tanning process. What we love about this product for the face, is that it is fast absorbing, lightweight and non-greasy. It's also kind to sensitive skin and aims to reduce the appearance of lines and wrinkles caused by previous sun damage. The Daily UV Hair Protector helps save the hair from damage caused by the UV, chlorine and salt which we encounter on our summer holidays. The product detangles hair, increases elasticity and restores moisture levels, allowing your hair to stay looking healthy throughout exposure to the damaging environment. Spray the product liberally on wet or dry hair, before or during sun exposure to ensure that you maintain shiny and beautiful hair this summer. We advise that you avoid getting the product in conduct with clothes as it may stain. Purchase Ultrasun's Face Tan Activator Protection SPF30 here for £28 for 50ml and the Daily UV Hair Protector here for £24 for 150ml.